Want to read our reviews, call us, or request an estimate? 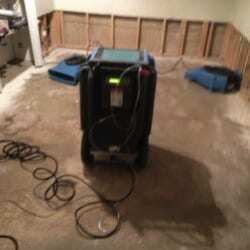 When you have water damage in Gaithersburg, MD we're the restoration company to call. We are licensed and approved to work with all insurance companies to help your water damage insurance claim go smoothly. Contact RestoreUnow for a free estimate on your flood damage cleanup in Gaithersburg, MD. In urgent need of service? Call RestoreUnow at 301-679-0465. Don't let your water damage turn to mold! Call RestoreUnow for immediate water removal in Gaithersburg, MD. Sewage backups require immediate attention. Call RestoreUnow 24/7 for sewage damage cleanup in Gaithersburg. To increase the rate of drying, we not only install specialty structural drying equipment, but we remove non-restorable materials such as drywall, insulation, baseboards, linoleum, etc. A certified and trained estimator will inspect your home regularly to ensure that your home is drying as quickly as possible. In addition, we document the scope of work relative to the humidity of the air, moisture content levels, and overall drying progress. Digital pictures are taken for evidence of the affected areas, structural damage, and damaged contents when applicable. Contact RestoreUnow today for a free water damage estimate. Does RestoreUnow offer water damage restoration near me? We provide services throughout Gaithersburg, MD, including ZIP codes: 20850, 20877, 20879, 20886, 20899.